Convert Image is a flexible and easy solution for converting scanned Drawings, Maps, Logs, and Seismic sections to the CGM format. 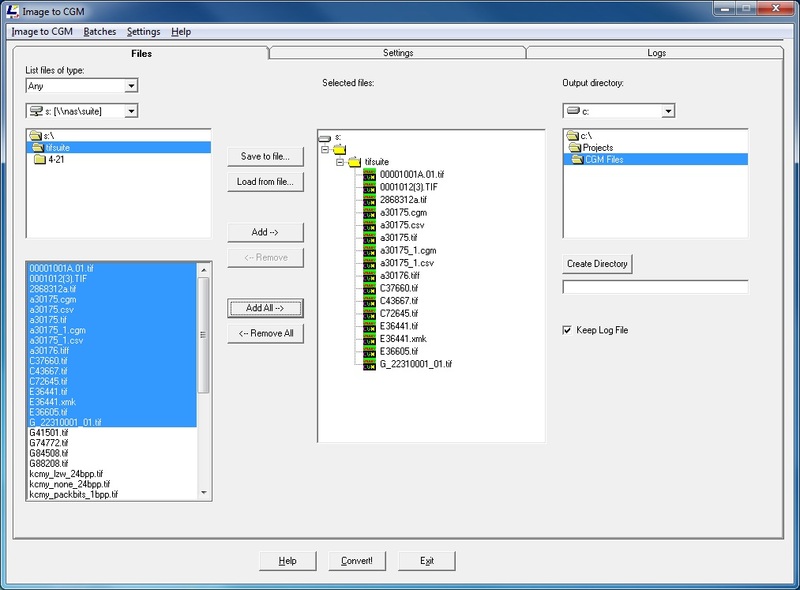 CGM is commonly thought of as a vector format, but CGM V3 includes support for raster files. If you need to convert graphics in the CGM format, Image to CGM will solve that work-flow with a minimum of fuss. Advanced features include color swapping, compression for monochrome images, and batch conversion. Server versions include access to the command-line interface for automated conversion. DPI - dots per inch resolution control. Aspect Ratio, Gamma, & Rotation. Server Version - The Server version operates in command line mode with control parameters, so you can "automate & configure" your conversion work-flow.